Match Your Donation to Mission Blue!! 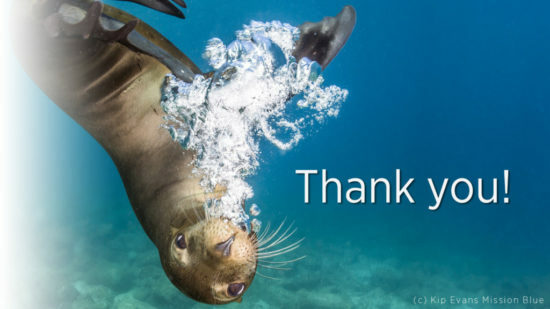 Through the generous contributions of thousands of people like you, Mission Blue is igniting a global movement to protect 30% of the ocean by 2030. And you can help us twice, by doubling your donation. Every dollar given supports our programs to lead expeditions, expand public outreach and support the work of our scientific partners. With less than four percent of the ocean currently protected in any way, we have much more work to do. Your support is helping us get there. Thank you!